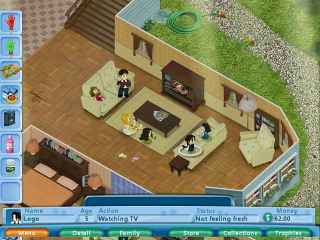 Free Download Virtual Families Game or Get Full Unlimited Game Version! A casual family sim that runs in real time! Adopt and nurture needy people on your computer and help them meet mates, and start families! 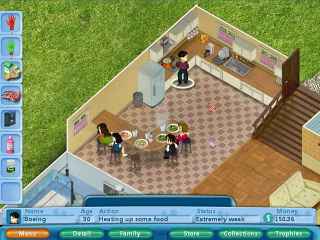 In order to get advantaged of playing Virtual Families full unlimiteg game version you must register the game. Choose your crops, till your ground, water your fields, harvest your produce and take your goods to market with your very own Virtual Farm! Raise bumper crops and then sell them for a profit! Do you have what it takes to become the top farmer in town? Explore the center of Isola in this innovative new chapter in the Virtual Villagers series! Bring in new members to your tribe! Investigate a virtual reality program thatâ€™s turning some players comatose.